Springtime brings on our whimsical wanderlust and daydreams of exploring, whether it’s around the globe or in our own backyards. 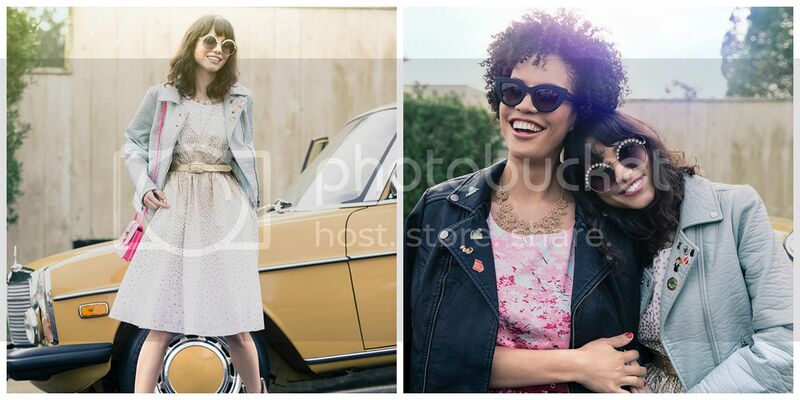 ModCloth’s latest collection pays homage to the romance of road trips and exciting adventures in free-spirited details and seasonal hues. My romantic road trip style includes bold prints, flowing peasant tops, and a great wedge. I love this look which includes the Jump for Joie de Vivre Top, It's High Time Shorts in Classic, and the Free to BBQ Wedge in Navy. The coral and navy combo is one of my faves. It's easy to delight in the ease of this swingy tunic's soft, textured fabric and gathered waist, and just as enjoyable to experience sporting its crocheted front panels. The high waisted denim shorts are pocketed in the back and comprised of a flexible cotton-blend. The wedges serve up stylish comfort with broad, crisscrossing straps, soft, cushioned foot beds, and cork-inspired platforms. Here is another look I love. The Gown to a Fine Art Dress, Yes You Glam Necklace in Blush, and the Miss Mary Macrame Wedge. Flaunting an ivory bodice, embroidered peach and sky blue petals, and a vibrant coral orange skirt, this open-backed beauty teaches a master course in magnificence. Layer this cool necklace over any ensemble to flaunt its layered strands of faux-pearls, grey beads, golden chains, and pale pink stones. Finish off the look with these espadrille wedges up with their cream and light tan color scheme! Once you slip into the macrame-inspired floral lace of these braided heels, you’ll jump joyously over their adorable design. 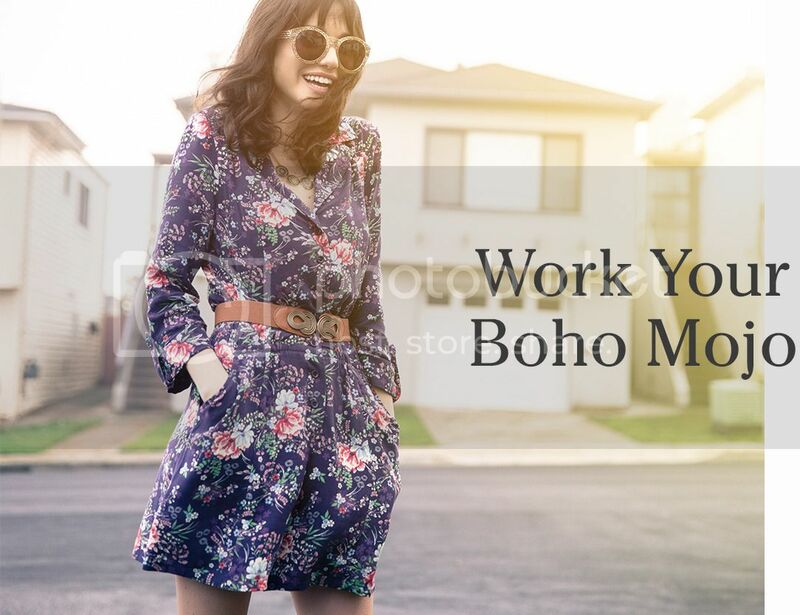 What is your favorite springtime romantic boho look?